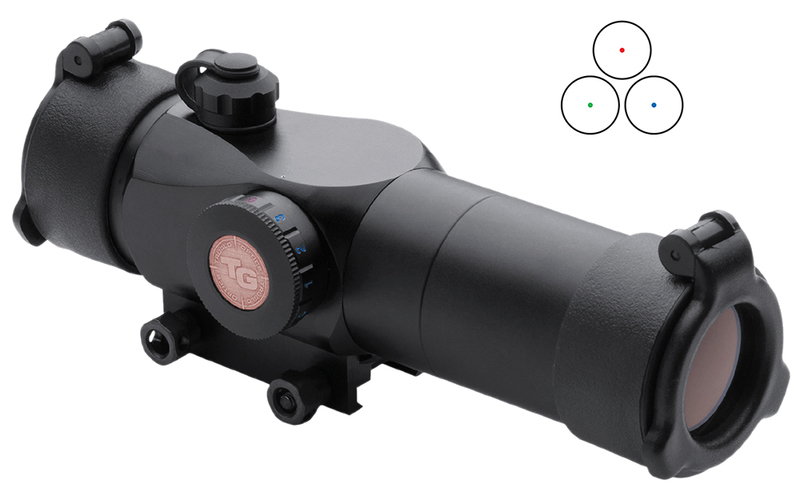 The Triton 30MM Tri Color Red Dot Gun Scope has three choices of reticle color for contrast against any target or background (Red Green Blue). Featuring a adjustable rheostat for brightness control, click windage and elevation adjustments, integrated Weaver style mounting system, and all the award winning features of the Traditional Red Dot Sight Series. As a bonus you get a remote pressure switch and extended cord, see-thru/flip-up lens, and integrated lanyard system.